Royal Brunei Airlines (RB) would like to inform our guests departing from Melbourne International Airport that effective 1 May 2018 our Business Class guests and Royal Skies Gold members will be provided lounge access at the Marhaba Lounge up to 3 hours before flight departure. 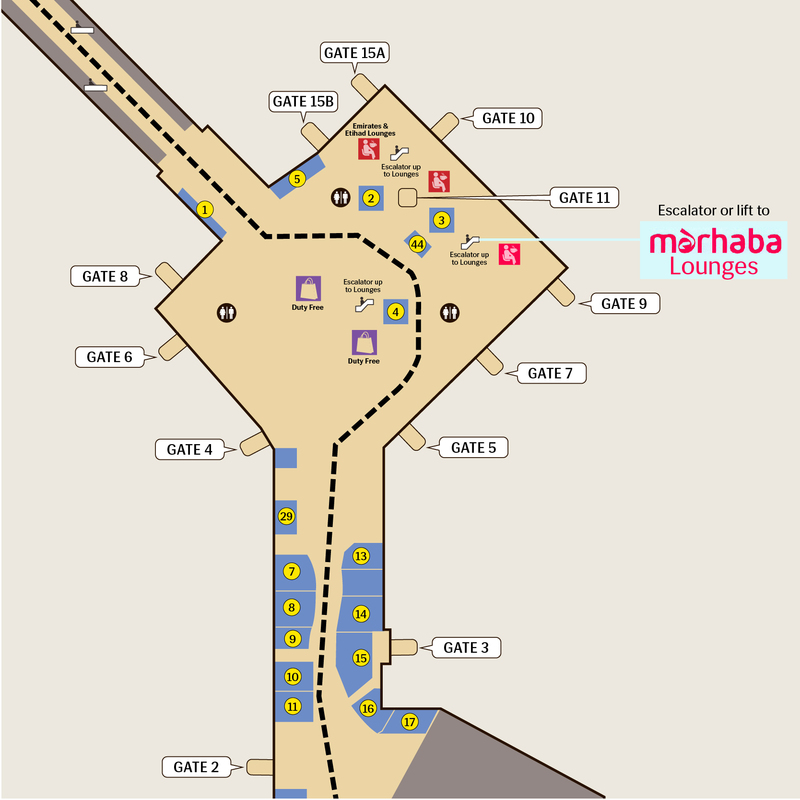 The Marhaba Lounge is located on Level 2 of the International departure hall and can be accessed via escalator or lifts between Gates 9 and 10. Kindly refer to the map below for directions to the new lounge.